You could use that frozen pina colada tropical fruit mixer concentrate for cocktails. 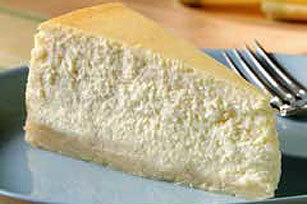 Or you could make this creamy cheesecake for a tropical twist! Preheat oven to 325°F if using a silver 9-inch springform pan (or to 300°F if using a dark nonstick 9-inch springform pan). Cut cookie dough into 1/8-inch-thick slices. Arrange slices, slightly overlapping, on bottom and 2 inches up side of greased springform pan. Press edges together to form crust. Bake 12 to 15 min. or until lightly browned. Beat cream cheese, sugar, fruit mixer concentrate and vanilla with electric mixer on medium speed until well blended. Add sour cream; mix well. Add eggs, 1 at a time, mixing on low after each addition just until blended. Pour into crust. Bake 50 to 55 min. or until center is almost set. Cool completely. Run knife or metal spatula around rim of pan to loosen cake; cool before removing rim of pan. Refrigerate 4 hours or overnight. Store leftover cheesecake in refrigerator. Savor a serving of this indulgent, special-occasion dessert. And, since it makes enough to serve 16, it is the perfect dessert to serve at your next party!